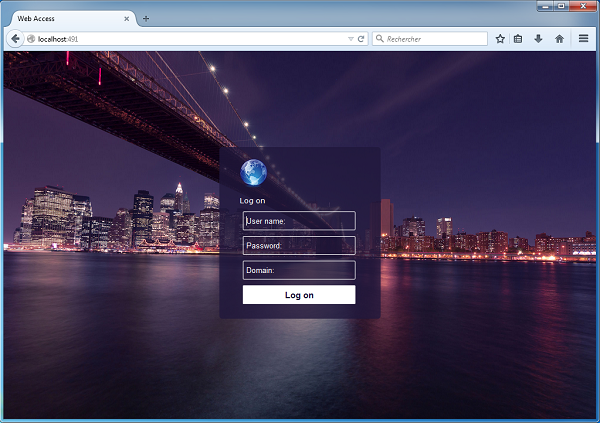 RDS-WebAccess is using HTML5 to open Remote Desktop with any web browser. Its high performance HTML5 RDP Client is providing browser based access to Windows Remote Desk (virtual & physical), running on Windows Terminal Services (RDS). Access and control your Windows Remote Desktop from anywhere! Use any Device, Smartphone / Tablet (e.g., iPad, iPhone, Android device), locked-down workstation, or PC running Windows, Mac OS X, Linux or Chrome OS. Extends the reach of VMware View, Citrix XenApp, Dell vWorkspace and Microsoft Windows Remote Desktop Connection Broker, to any HTML5-enabled devices and browsers. Enjoy: Zero Client Software! No need to install Flash, Silverlight, ActiveX or any other underlying technology on the end-user device. RDS-WebAccess takes advantage of HTML5 Web browser technology to deliver immediate, high-performance RDP access to Remote Desktops, from anywhere and on almost any end-user device. RDS WebAccess has a wide range of features that everyone can use, such as: customizable web portal, Remote / local printing with its Virtual Printer, Automatic keyboard display, File Transfer between the remote host and the local end-user device and documents (Upload and Download)… and much more. Download for the trial version. The license is per server, without user limit.